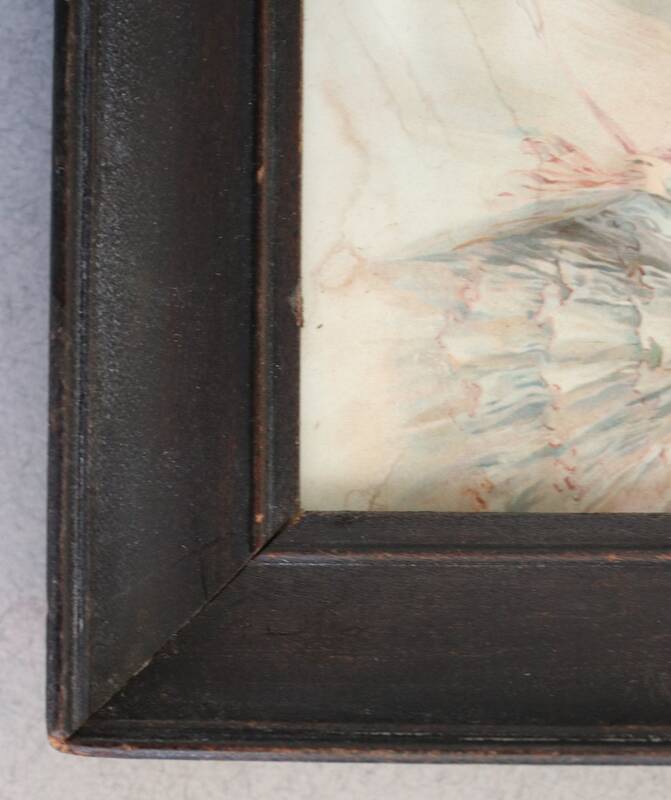 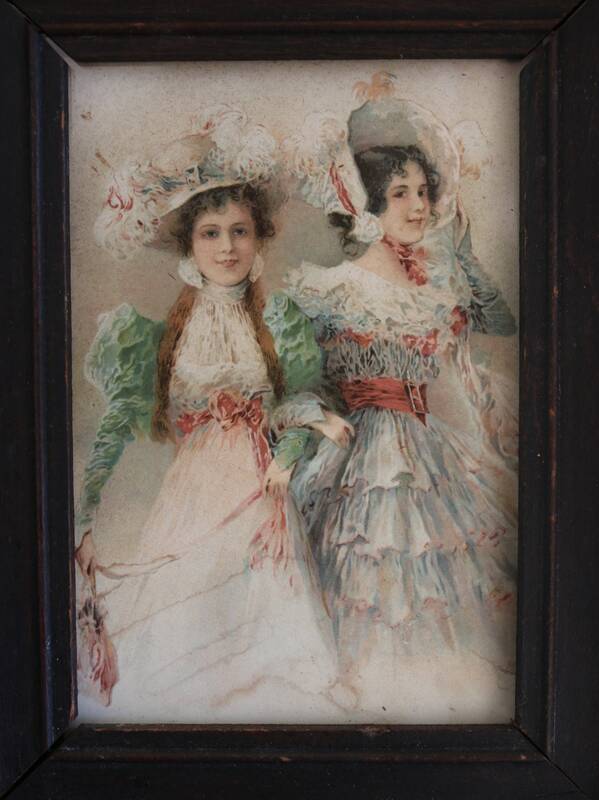 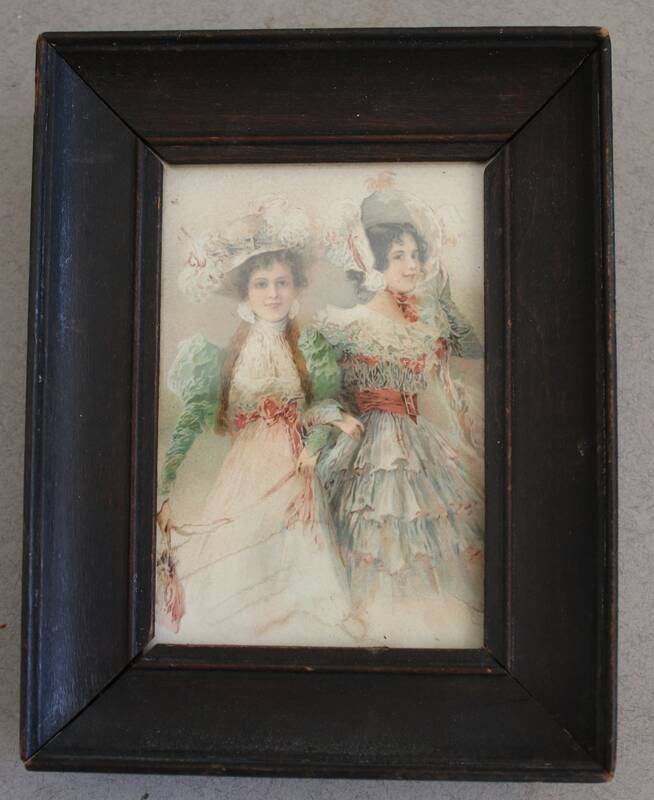 This circa late 1800s framed print is in a 5 ¾" x 4 ½" handmade frame. 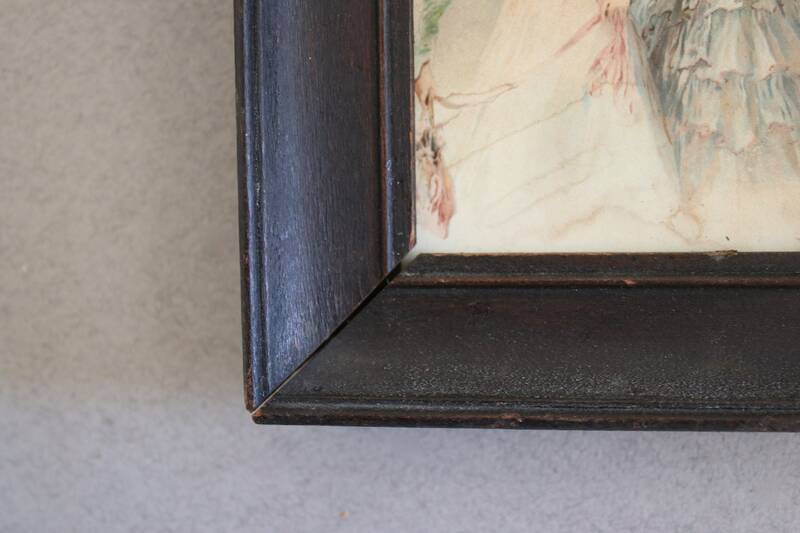 The frame does have some separation occurring in the four corners as shown in the photos. 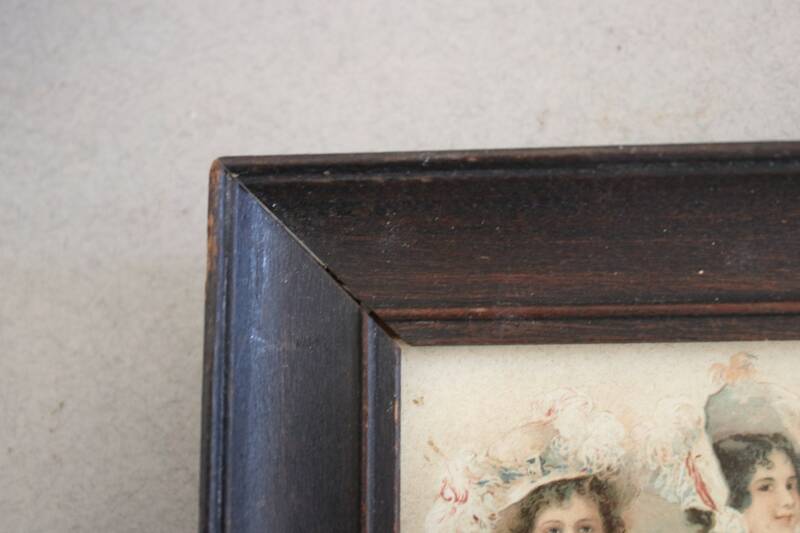 I do not believe the frame is in danger of fully separating, though. 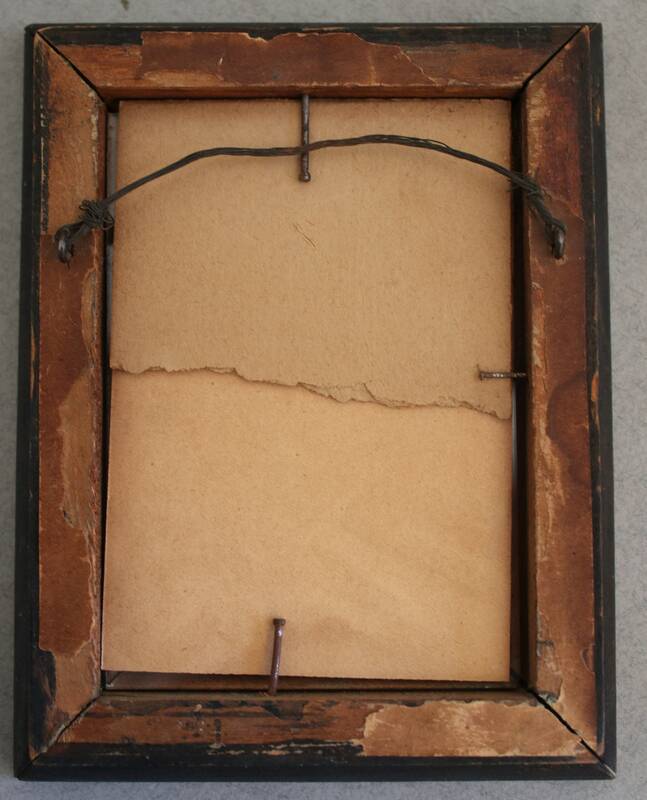 The back is missing a portion of the cardboard protector, and two nails hold the print and cardboard in place. 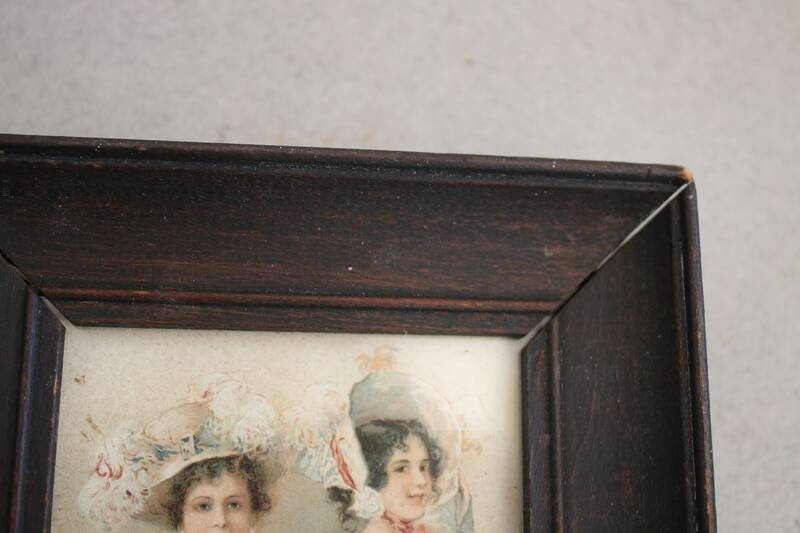 There is also a wire so your print is ready to display.